Welcome to Kamyk Custom Homes LLC!! 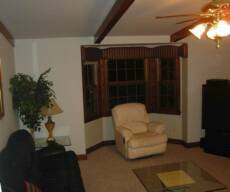 We specialize in custom home building with hands on development in all aspects of your dream home. 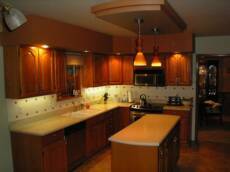 For over 20 years, we have specialized in home remodeling and new home construction. Mearl M. Kamyk, the owner and developer, is personally involved in every aspect of the home building process. "I take pride in turning people's dream house into reality, and now with my new development in South Fayette, I will be able to help families plan it all from their personal lot choice and home design choices, to construction and completion of their new home." Kamyk Custom Homes LLC is proud to announce Kevington of South Fayette. This new neighborhood has "seventeen" spacious 3/4 acre lots or larger to choose from. Ground breaking will occur in the Spring 2008, so if you are interested, please contact us ASAP as these lots will be quickly sold on a first come, first serve basis. Also, get in early to lock in a LOWER PRECONSRUCTION DISCOUNTS before the ground breaking occurs in the Spring. Why Kevington Development? A bigger lot for your family to build your custom dream home and once completed you can enjoy playing, barbecuing, or just taking it easy with your family after a hard day's work. Want more information on "Why South Fayette?" click South Fayette for public website. Click on "SF has a great school district" for SF's website on the school district. Kevington has easy access to all major roads. Located off of Route 50 (Washington Pike) onto Hickory Grade Road. See Directions for details.